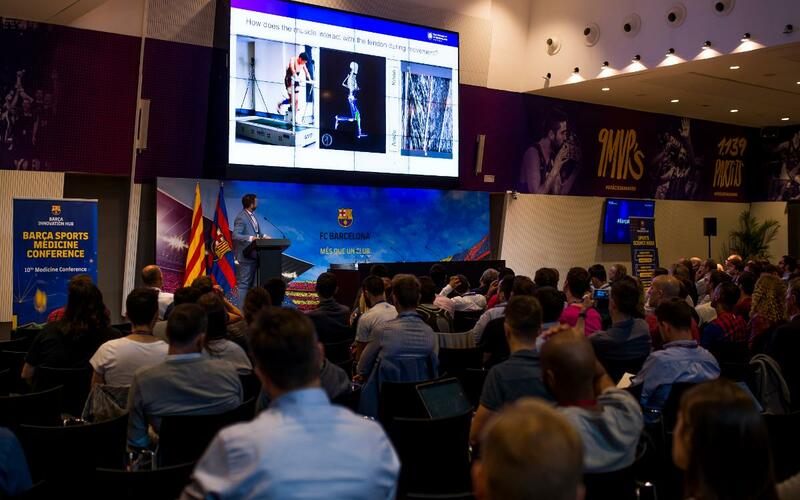 The Barça Sports Medicine Conference got underway on Monday at the 1899 Auditorium outside Camp Nou, where academic sessions are bringing together the world's leading sports medicine authorities. The event, previously called the Muscle Tech Network, is centered on muscular injuries to the calves and the Achilles tendon and is being attended byabout 350 professionals from around the world. The inaugural session was attended by Javier Sobrino, the Barça Innovation Hub's director of strategy and Innovation, and Dr. Gil Rodas, Barça Innovation Hub's Medical Area Director. Both have pointed out that the objective of the event is to promote enrichment and accumulate knowledge to help athletes improve their recovery times and welfare when they get injured. The Barça Sports Medicine Conference is part of Sports Science Week, which is being promoted by the Barça Innovation Hub. The week also includes two more academic events that will be held: the 2nd Barça Sports Performance Congress, which will take place Wednesday 10 October, and the Sports Nutrition Conference, which will be held on Thursday 11 October, also at the Auditori 1899.